io9 has arrived at Comic-Con, and of course the zombie apocalypse has already begun. 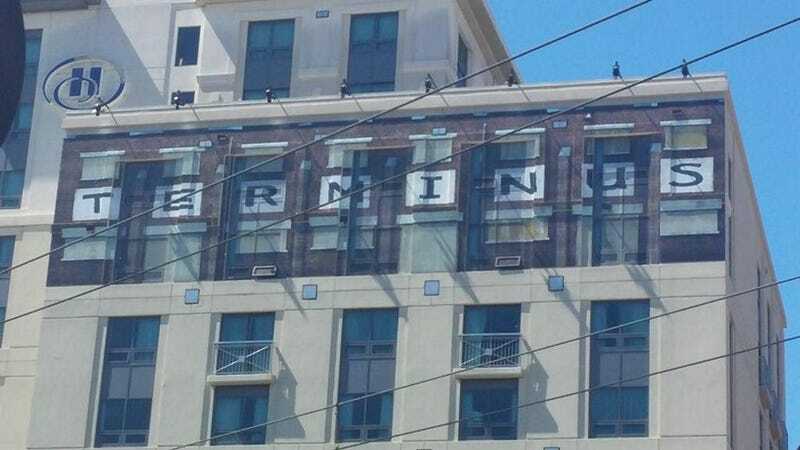 One of the hotels has been wrapped to look like Terminus, the iconic Walking Dead location. We'll be here for the next five days, bringing you the latest news and insanity from pop culture central. Get ready for the next year in escapism with sneak peeks and toy hints and previews of everything from giant movies to brand-new indie comics. We're here and we're going to SEE IT ALL. You can follow all our Comic-Con coverage here. Here's the Syfy Cafe, looking pretty awesome this year. And of course, the Constantine tent, covered in runes.